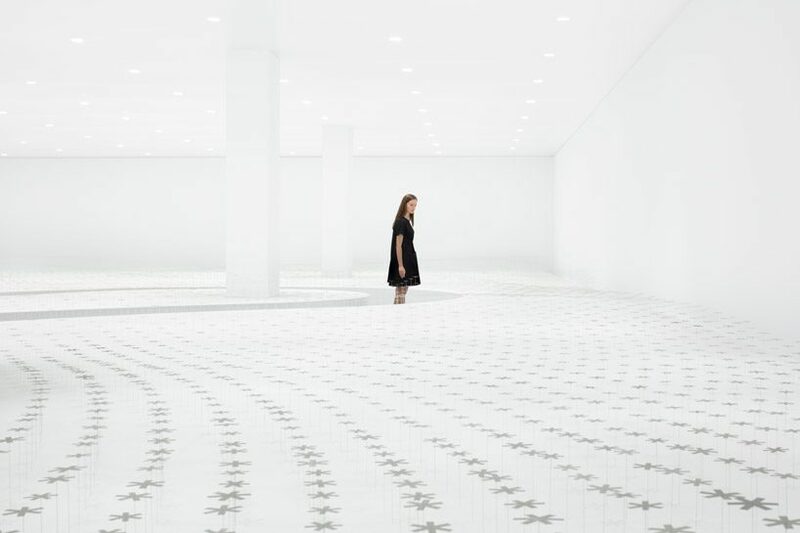 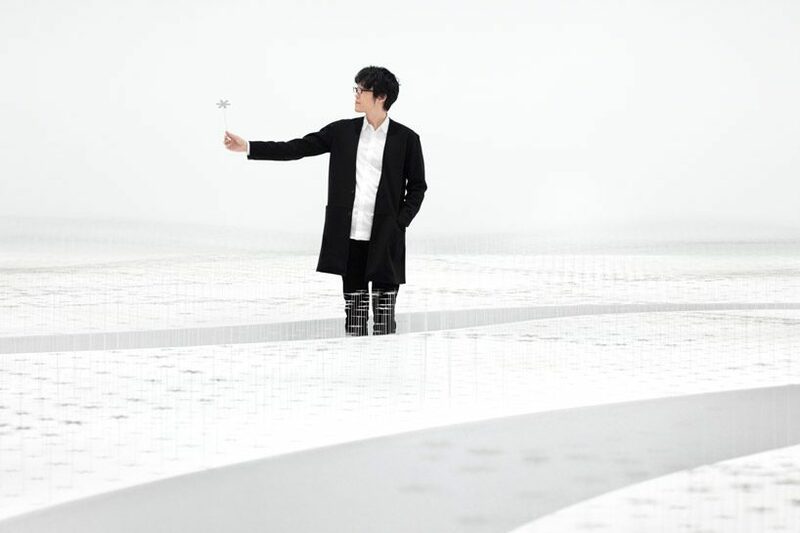 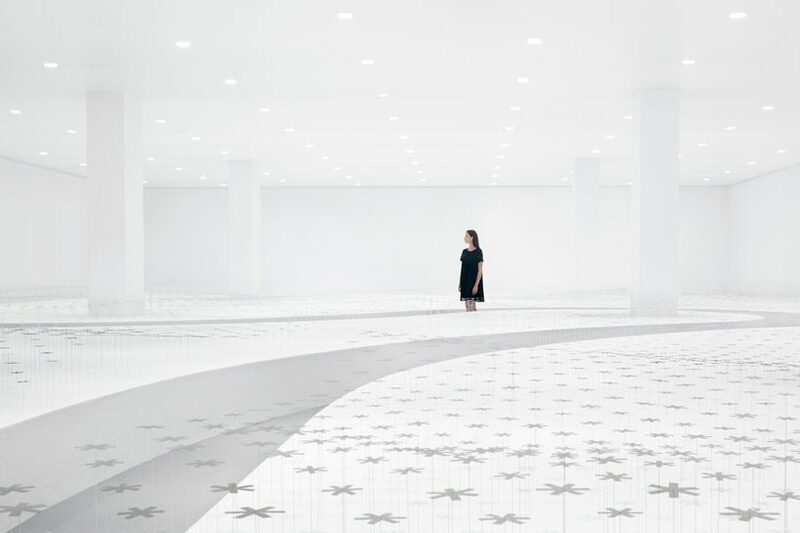 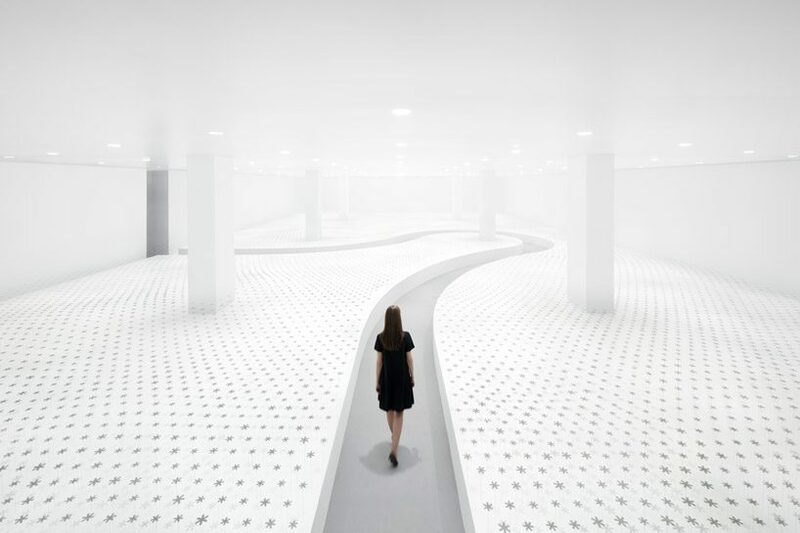 nendo‘s installation for daikin takes visitors on a winding path through a field of 17,000 ‘flowers’. 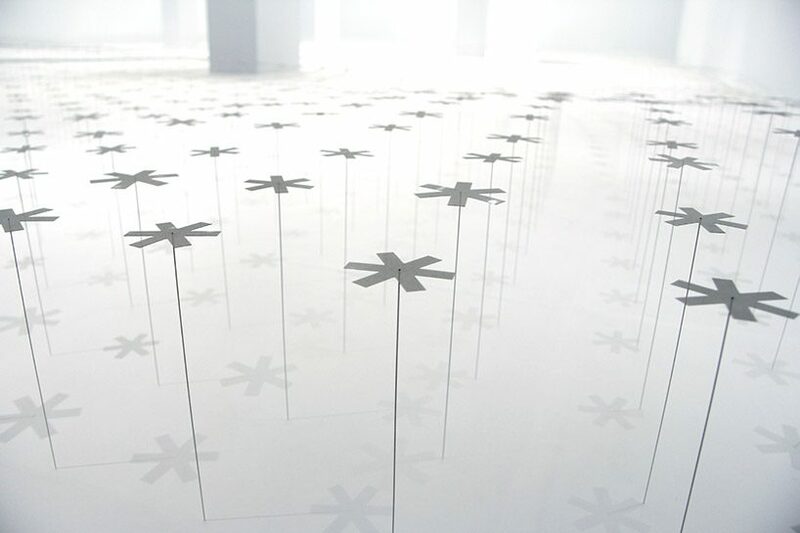 these ‘flowers’ are in fact made from polarizing film, which are spread in calculated patterns. 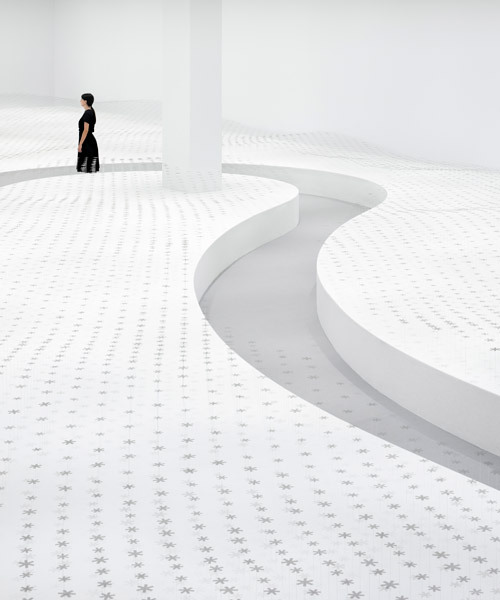 each flower is placed at a different height so the entire space appears as a smooth, undulating landscape – like a real garden of flowers. 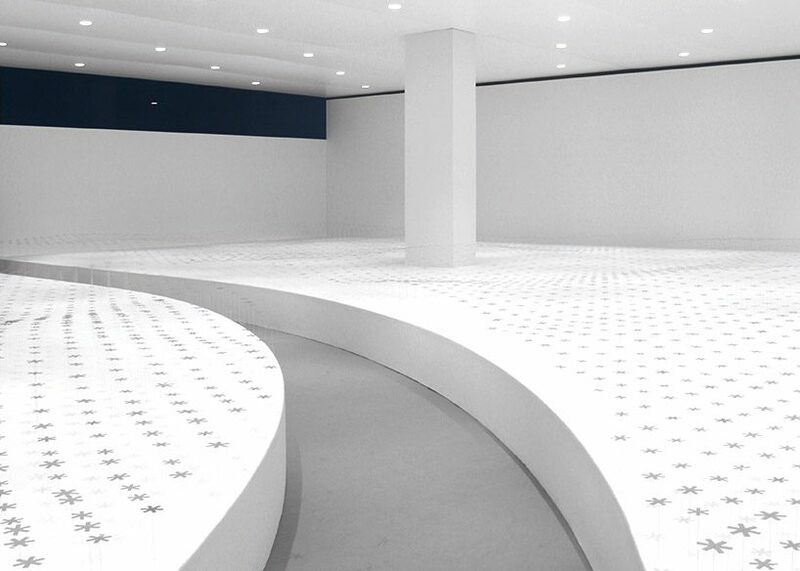 the designers have also explored the polarizing material. 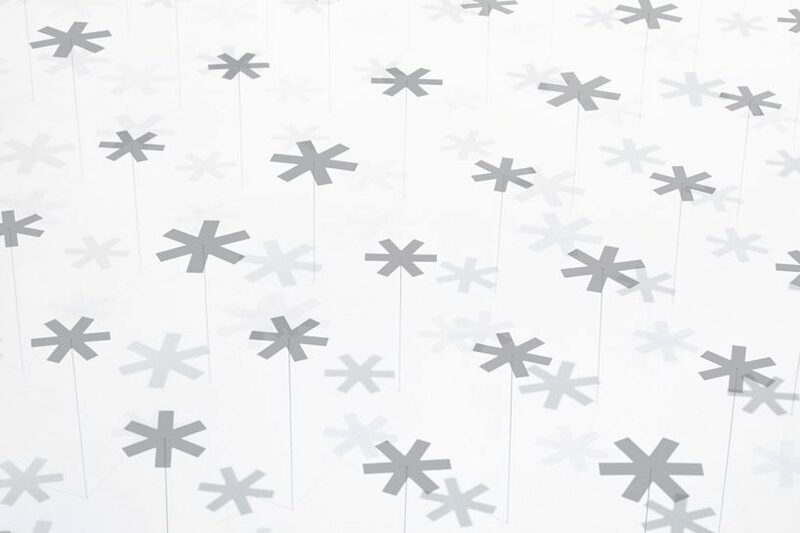 by pivoting the filter 45 degrees, a more translucent shadow is created, and by rotating it an additional 45 degrees, the shadow completely disappears. 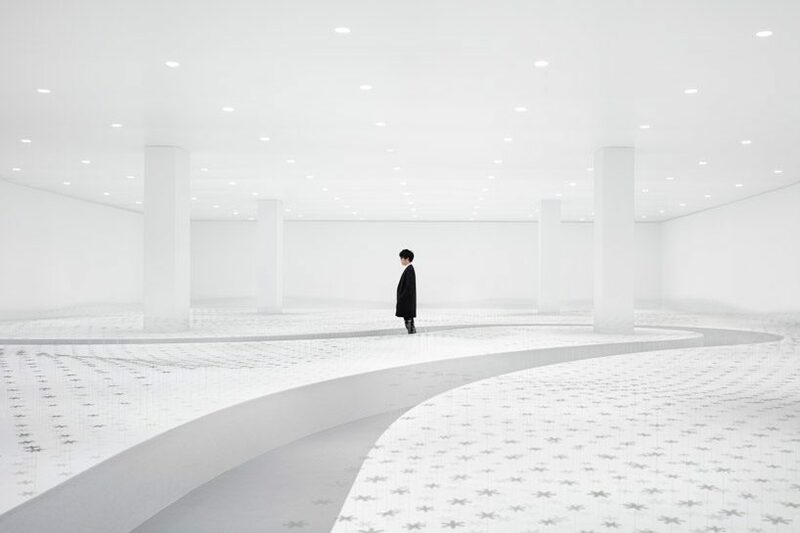 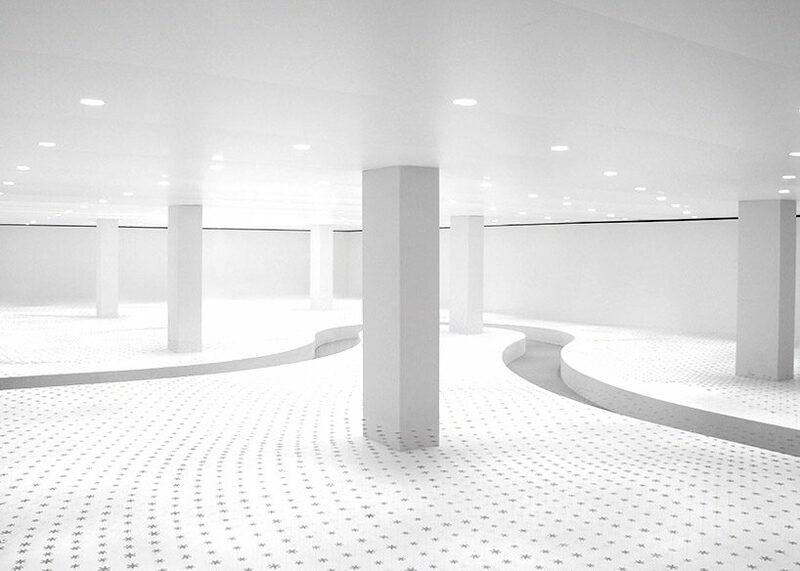 to make the unique spatial experience, nendo has used 115 polarized spotlights with individually-controlled motors suspended from the ceiling. 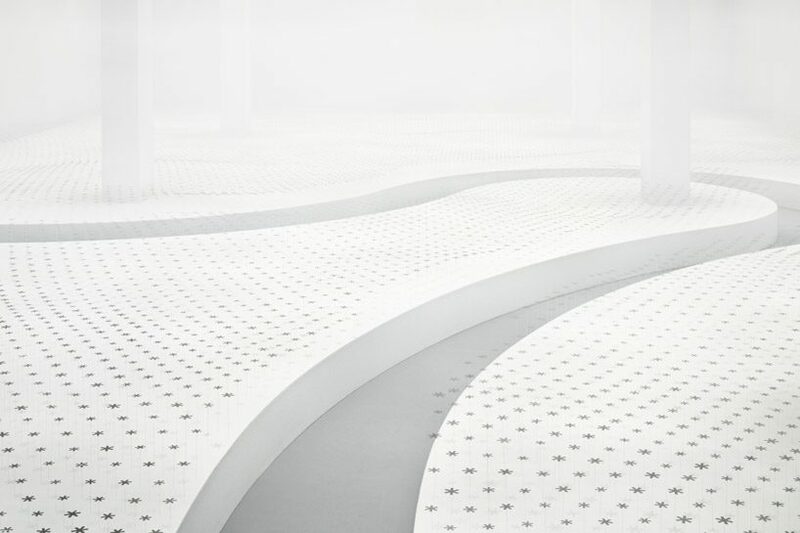 the movement of the polarizing films on the spotlights allows constant change in the intensity of the flower’s shadows, even though there is no change in the amount of light in the space, and although there is no air blowing in the room, the shadows appear to be effected by a gentle breeze passing through the garden.